Do your best. Whatever that best is on any given day. I know how you are feeling. I remember when I first got my son’s official diagnosis – ADHD and Mood Disorder – NOS. There were other words. I remember it said Bryce would not be able to attend kindergarten without medication. I was sad, scared and worried. I am sure you are feeling all of these emotions and others. Your expectations for your child may change, but this is not the end of the world. No matter what diagnosis your child was given, nothing about your child has changed. You still have the same child who you love, laugh with and cry with. Your child will still make you smile and still piss you off a lot. 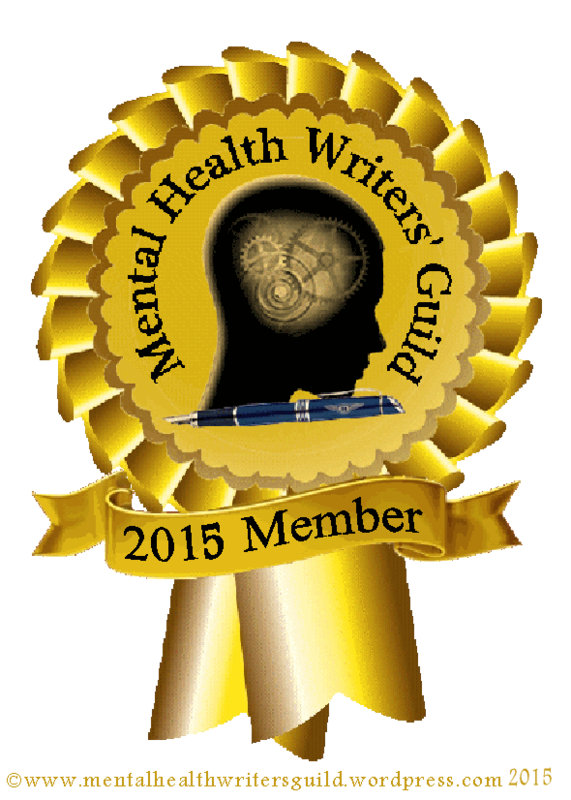 Hearing or Reading the words – whatever they are – Depression, Bipolar Disorder, ADHD, etc. is hard, but they are just words. Do not worry so much about the exact diagnosis. It can change. It will change. Bryce’s has changed several times. It will probably change again. Unfortunately, mental illness is not an exact science. Having been through this, I can offer some advice. Hopefully you find something here that’s helpful. Find professionals that you like. If you are not comfortable with the psychiatrist, social worker or therapist you are using, change. You have every right to do that. Ask for recommendations from people you know and trust. Each time you change, you tell your story again so it can be tiring, but if it is to find a good fit, it is worth it. Ask for help at your child’s school. Ask the school for an evaluation so your child can get accommodations – a 504 plan or an Individual Education Plan (IEP). Even if you do not think your child needs help academically, there may come a time where they need breaks, social skills support or other accommodations. They deserve this. They may also qualify for OT, Speech Therapy, etc. There are so many resources out there that you may not be aware of. If you can afford it, hire an Educational Consultant. You will get more services quicker because the school systems will know you mean business. Understand the diagnosis, but do not worry so much about it. Make sure that the professionals working with you are treating the behaviors and symptoms – the impulses, the depression, the hyperactivity, psychosis, anger, etc. The diagnosis may matter, however, for certain services and resources. For example, in some circumstances. if you get an autism diagnosis, there may be more resources available to your child. Research all you can. Find out what programs are offered in your area for support, therapy, social skills, etc. For example, are there any organizations that offer after-school activities for children with special needs. Join a support group. If you want to talk to other parents going through the same thing, look for a support group in your area. Most NAMI chapters offer one. NAMI also offers classes that teach the basics of supporting a family member with a mental illness. If you join an online support group, DO NOT listen to everyone on the Internet. Everyone’s situation is different and some people only want to complain. Find what helps you, take breaks when it seems tough, and find the support that is helpful to you. Take care of yourself. Don’t forget to take care of yourself. Self care is crucial in order to be a good parent. Try not to worry and think too much about the future. This is incredibly hard to do, but you have to try and take things day by day. Sometimes even hour by hour. Things will change. A few years ago, I was told to prepare for the fact that my son would most likely have to live in a Residential Treatment Center. He was that unstable. He had five hospitalizations, including one that lasted for 45 days. I was not wanting to accept that. I worked hard to get him into a Therapeutic Day School. We changed his medications. We changed his behavior plan. We worked on his self-esteem. It took time, but we worked hard to make things better. Things have changed – the diagnosis – now it is Bipolar, PDD, Anxiety, ADHD. He has sensory processing disorder as well and language delays. But with all of those words, Bryce is also doing better. He is now mostly stable, has been stable for a few years and is doing well. There are bumps in the road, but that is ok. Right now my son has a friend from school over and they are going to the Trampoline place tonight, together. Typical teenage Friday night behavior. So, what do I tell you as a parent? There is hope. There will be ups and downs. Just do your best, whatever that best is on any given day. That is what I was told, and that is what I pass on to you. Suicide. That is a terrible word. One of the worst words for a parent to hear. As I was writing this, I received an email from NAMI about Suicide Prevention. There are tons of posts on social media about suicide prevention because reports just came out about suicide rates being at an all time high. This post is different than most posts about suicide. This is about impulse suicide. Last February I got a call from Bryce’s school telling me I needed to come there. They did not tell me why. When I got to the school, they told me to come sit down. I knew something bad had happened. They told me I needed to get Bryce evaluated. Wait, I need to go to the ER? I was so confused and disoriented. Everything had been ok. Bryce was fine that morning. He was fine the day before. “Bryce ran into oncoming traffic,” they told me. He actually waited for the cars to come and then screamed he wanted to kill himself and that they were going to need to call 911. Luckily the cars saw him and stopped. The teachers and staff were able to stop the other cars and restrain Bryce and get him safely out of the street. We went to the ER. They would not let Bryce go home. I asked what would happen if I tried to take him home. I was told that was not an option. The hospital psychiatrist actually kept using the word suicide attempt. It was so hard to hear. He had talked about wanting to die before, he always banged his head for long periods of time, but suicide attempt? That is not something that any parent wants to hear. As a parent of a child diagnosed with a mental illness, losing my child this way is my WORST FEAR. Even just hearing Bryce say that he wants to kill himself is excruciatingly painful. If you have read any of my other posts, you know that Bryce is not currently in crisis. If you asked me today if Bryce is suicidal right now, I would tell you no. Not at all. If you asked him, he would say he is fine. That day in February, I would have told you Bryce was not suicidal either. He would not have met any warning signs. But Bryce is impulsive. Bryce’s moods change rapidly and Bryce can get angry and upset and not even understand why he is angry and upset. If something triggers Bryce, his anger and sadness can quickly escalate. Even if he is reminded of his coping skills and given space, there are times when he misunderstands a situation or may be tired or hungry mixed in with a trigger and he can no longer control himself. This is not just true for Bryce. This is the case for so many other children like Bryce. Many suicides are planned. People feel desperate like there is no other way. These can be prevented. You need to listen to people, take people seriously and look for the warning signs. This is important and crucial. We need to advocate for funding, for reducing stigma, for early intervention and resources. But in many cases, suicide or suicide attempts are impulsive, unplanned acts that happen within five minutes of thinking about it for the first time. An article recently published in the Journal of Abnormal Psychology states that “Suicide is the second leading cause of death among adolescents, and impulsivity has emerged as a promising marker of risk.”” So what do we do about that? When the incident happened last February I was devastated. I was scared. Bryce was scared. We were all scared. He acted impulsively. He could have died. Did he truly want to take his life or was he just angry and AT THAT MOMENT that was what his impulses told him to do? His flight reflex kicked in. I fear it will happen again. Just this Saturday, he uttered the words, “Get me a kitchen knife. I do not deserve to live. I want to die.” Luckily, I was right there and was able to calm him down within an hour or so. But what happens when I am not there? Suicide prevention is important. We need to know the warning signs and what to look out for. But we also need to learn more about the underlying causes of impulsivity and the illnesses that result in our children acting this way. We need funding for more research for mental illness in general – the causes, medications and therapies. For now, how do we prevent that from happening again? I do not have the answers, but this is why I am doing what I do. More research needs to be done. As the email I received from NAMI says, we need to advocate for funding, for answers, for the stigma to go away, for awareness. We have to be vigilant. We have to learn triggers, work on coping skills, how to teach and manage these children, and make sure that behavioral programs in schools are adequate and appropriate. If you’re thinking about committing suicide, please call 1-800-273-TALK in the U.S.To find a suicide helpline outside the U.S., visit IASP or Suicide.org. I am a mom of a special needs child who hopes that by writing this blog other people can learn from my experiences. I love being a mom and a wife. Before that, I was a corporate attorney but left that work in order to spend more time with my family. I love the journey that life has taken me on so far. Thanks for reading.